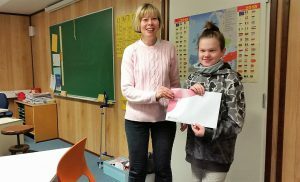 This year, the fifth graders of Porvoo’s primary schools accepted the challenge set by the fifth graders of Kevätkumpu School in great numbers. The challenge, sponsored by Posintra, was intended to make the world better by paying attention to the responsible use of natural resources. As part of the challenge, the students performed eco-friendly acts for a week during the national Energy Saving Week from 8-14 October 2018. The acts were recorded in an Eco Act Passport, which is divided into themes of sustainable development: recycling, energy conservation and eco acts related to consumption. For example, you could get a credit in your Eco Act Passport by recycling glass or switching off unnecessary lights. Students from eight schools and a total of 11 grades participated in the challenge. The students filled their Eco Act Passports at home and returned them to their teachers. All students received an Eco Act Certificate for their voluntary participation in the challenge. A small prize was raffled in each class among the students who returned their Eco Act Passports. A cinema gift card was raffled among all students returning their Eco Act Passports. The gift card was won by Kaius Hällström from Gammelbacka School (pictured). During the challenge, Kaius monitored his own energy consumption, such as the use of water and electrical equipment. He also cycled to school. Kaius and teacher Katja Kurki from Gammelbacka School. 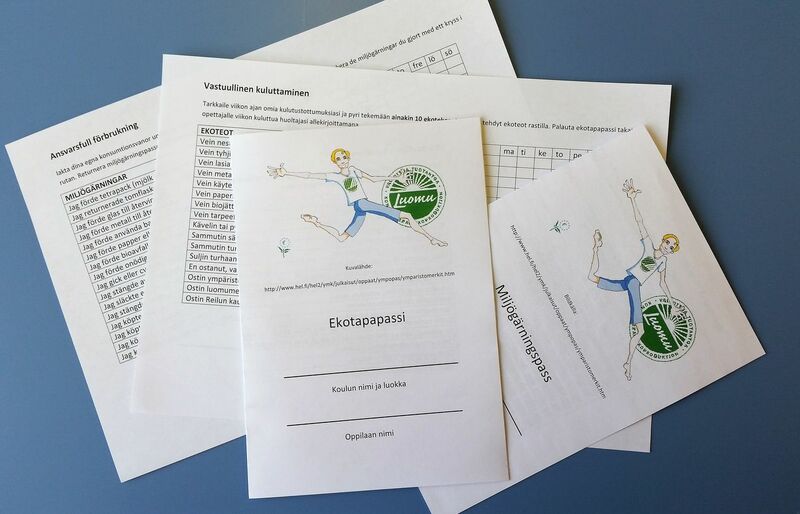 The Eco Act Challenge, organised annually by Kevätkumpu School and Posintra, was awarded a prize in the spring in a pan-municipal circular economy competition organised by Sitra and the Association of Finnish Local and Regional Authorities, in which the participating municipalities’ most interesting circular economy solutions were considered. The Eco Act Passport is available for all to use by the Creative Commons license. The challenge has also attracted international interest. With the involvement of the Climate Leadership Council, the #ecoactchallenge was also implemented in New York.